You might say that in some way your bedside table tells a story about you. Or at least about your sleeping and morning rituals. It might say ‘I’m disorganized’ or ‘I really love reading’ or maybe it just says ‘this bedside table belongs to a twenty-something year old woman’. Whatever it may be, we love the story. Here’s part one in ‘A bedside table story’. I, Cathelijne, graduated in January 2015 with a bachelor’s degree in Communication & Multimedia Design. In the past year I’ve worked at various different jobs: as a freelance copywriter, as a brand developer and online marketeer. I’m currently working fulltime as a junior online marketeer, which I really enjoy. What is your weekend morning routine? On Saturdays, I love sleeping in and waking up slowly. I might treat myself to a breakfast in bed (tea and some banana pancakes with loads of toppings are my favourite) and either read or watch some Youtube videos. On Sundays, I set an alarm clock to make sure I wake up at a decent time, just so I have the whole day ahead to enjoy. Weekend days are perfect for a long hot showers, slow breakfasts, burning some candles, journaling, and reflection. 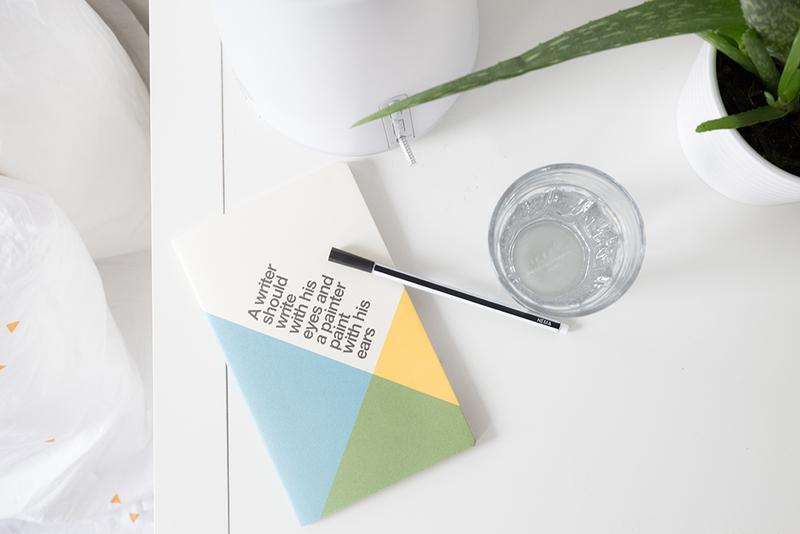 What’s on/in your bedside table and why? Books, my phone, a notebook, my Wake Up Light, an Aloë vera plant and a glass of water. I always keep books and a diary close to my bed because I love reading and writing in bed. Some of my best ideas came to me whilst trying to sleep. I have to make sure I write them down before falling asleep, because I never remember them the next day. My phone is near my bed for obvious reasons: it’s my alarm clock. I’m also guilty of checking Instagram and pinning things on Pinterest when I should be asleep (oops!). The glass of water is there to make sure I hydrate myself during the night and when I wake up. I love this little ritual, because it feels like a fresh start to every day. 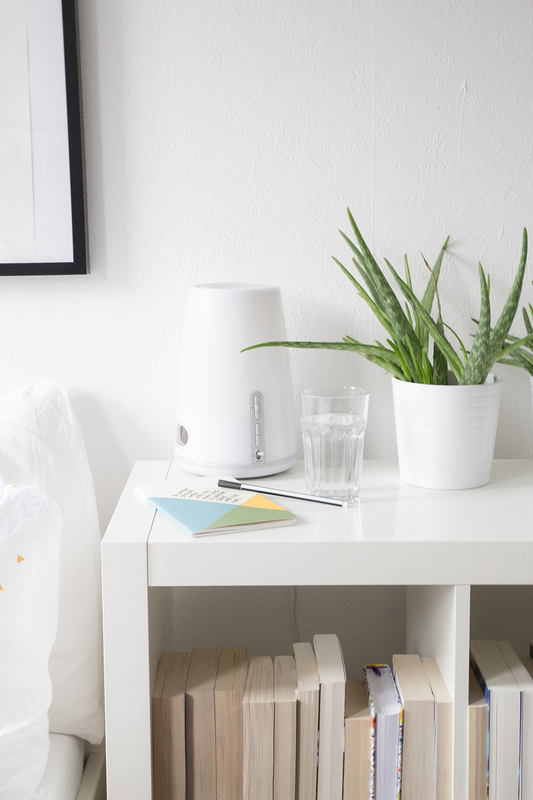 What item on your bedside table is most important to you? My journal. I used to be really good at keeping a diary, but I’ve now transformed my diary in a multipurpose notebook where I write down what I’ve done in a day (sometimes), my thoughts, ideas, and other things I want to remember. It has helped me a lot in structuring my thoughts and ideas.